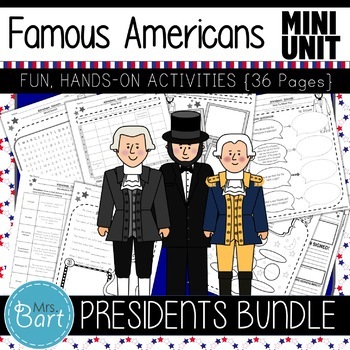 Each mini unit contains 36 pages of activities and worksheets to use alone or to supplement your unit on that famous person. Activities are designed to be fun and hands-on so they can creatively engage every student in your class! 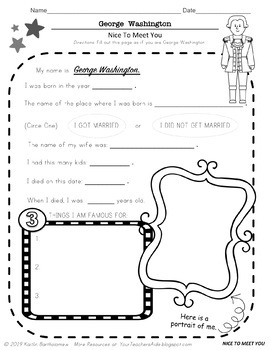 *** Some activities also have a blank version provided so you can customize the facts you want your students to practice on that sheet. I love to find creative, inventive ways to teach and pass them along to other teachers. Check out my blog for more great teacher tips and freebies: Your Teacher's Aide. to supplement your lessons on Martin Luther King, Jr.
Fun activities that will creatively engage every student in your class! ***This packet is VERY similar to my other famous American packets. If you have already purchased one, I would recommend just changing the name of the person you are studying instead of purchasing an additional packet. ***When you download this product, you will get both the PDF and Word version. 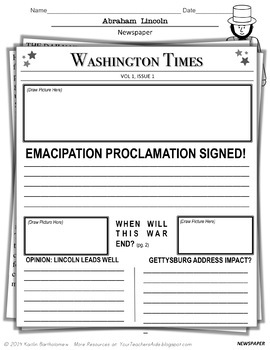 Therefore, all pages can be edited to fit your state's standards.